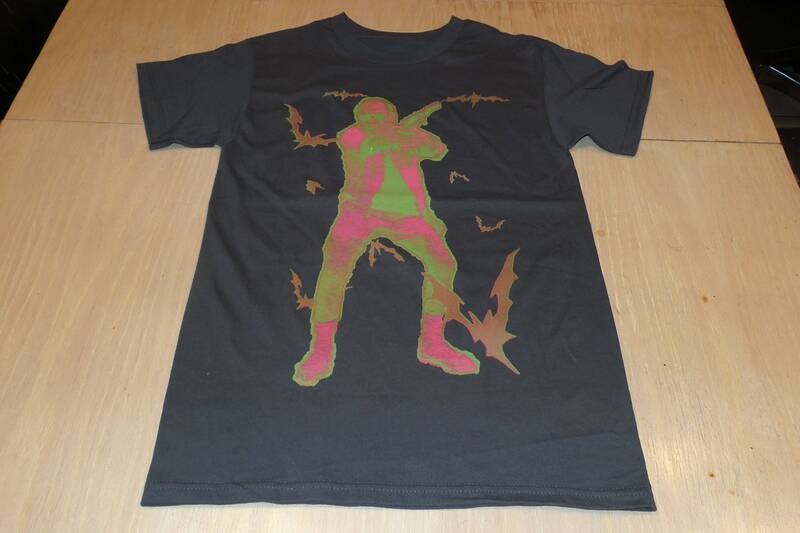 Front: Hunter S. Thompson pointing a gun, with bats. 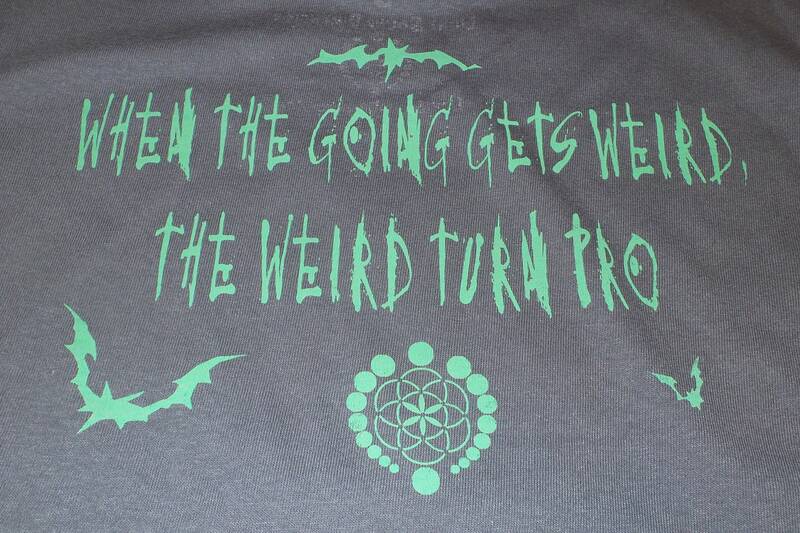 Back: The Hunter quote, "When the going gets weird, the weird turn pro" with bats and logo. 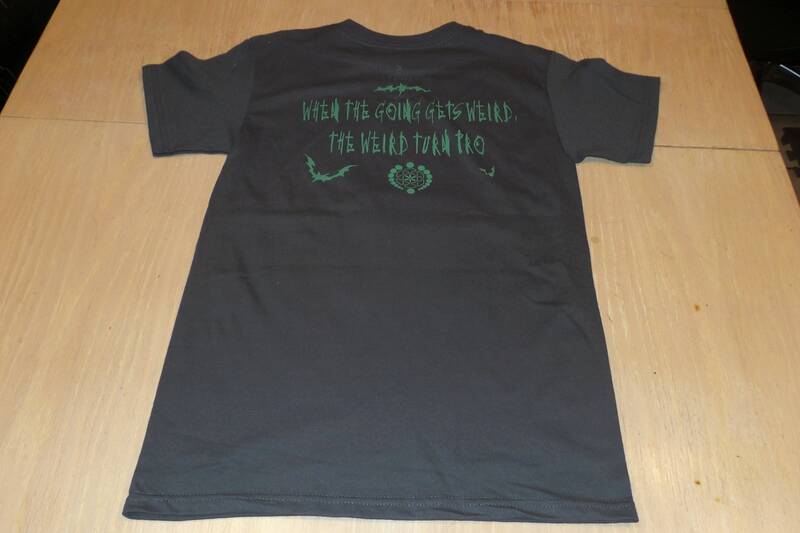 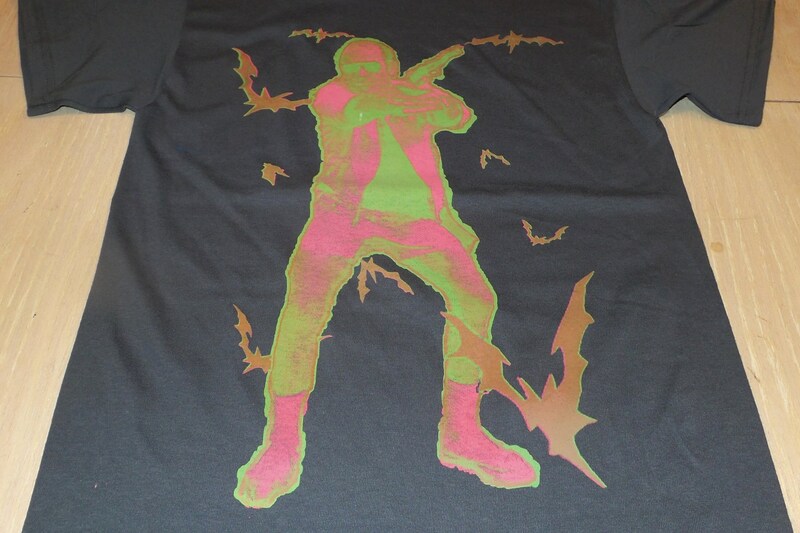 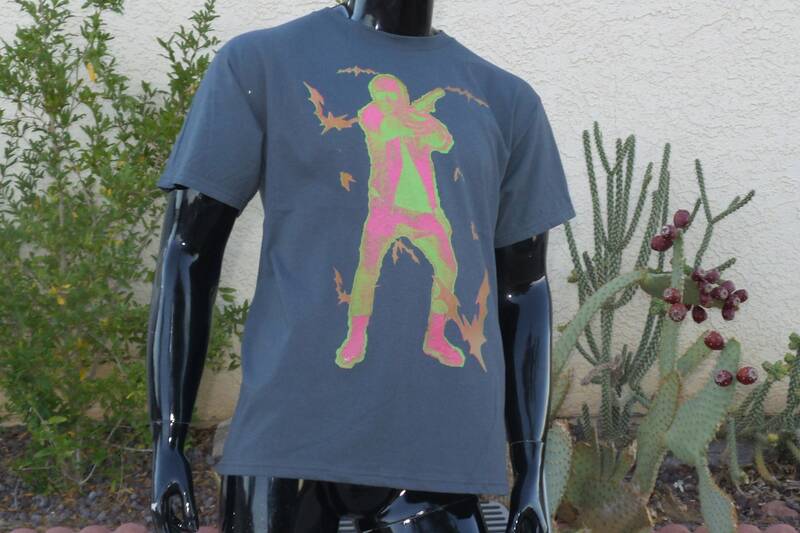 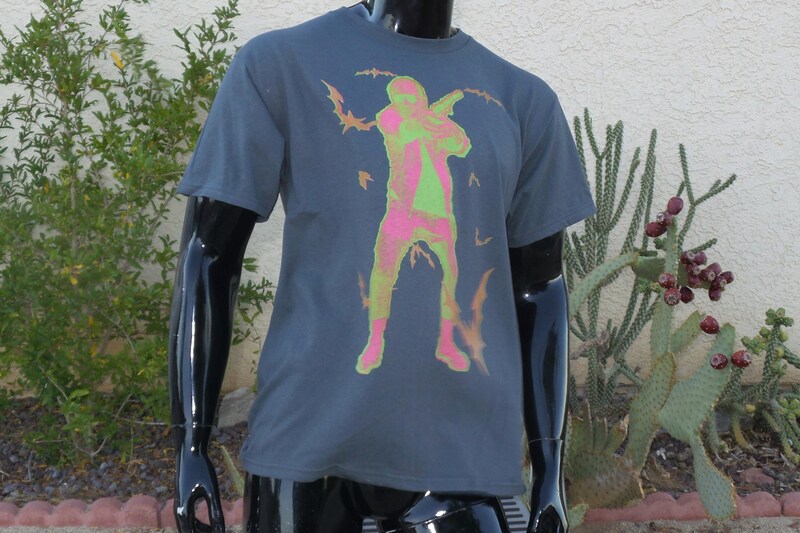 Printed in pink and green ink on a charcoal gray shirt.